also known as pulut sambal ikan to Malaysians. 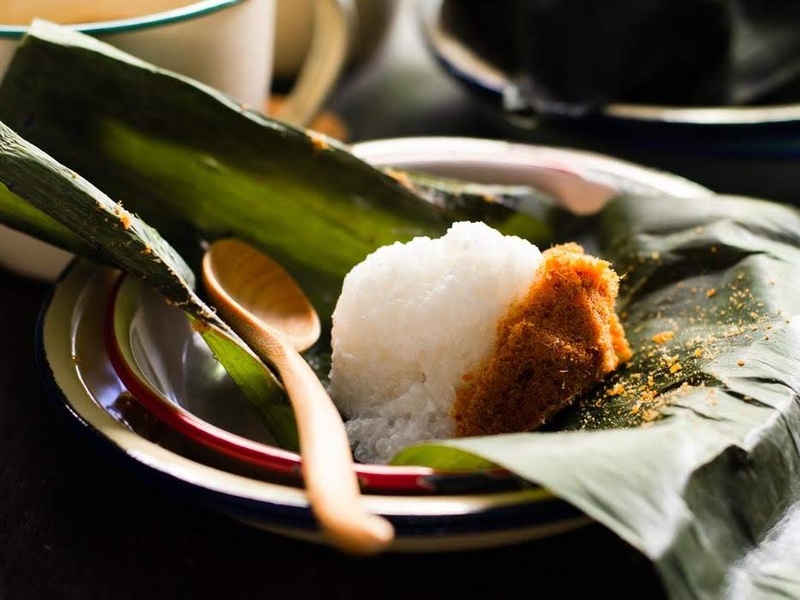 Sticky Rice with Fish Floss | Pulut Sambal for breakfast? Ask any Malaysians, what's their favourite breakfast? I am pretty confident that 99% will tell you that their favourite breakfast is either nasi lemak (creamy coconut rice), roti canai (roti pratha), fried noodles, steamed dumplings or bao, anything but cereal and toast. Cereals are likely to be either toddlers or school going children's favourite! Let me introduce to another favourite breakfast of mine. 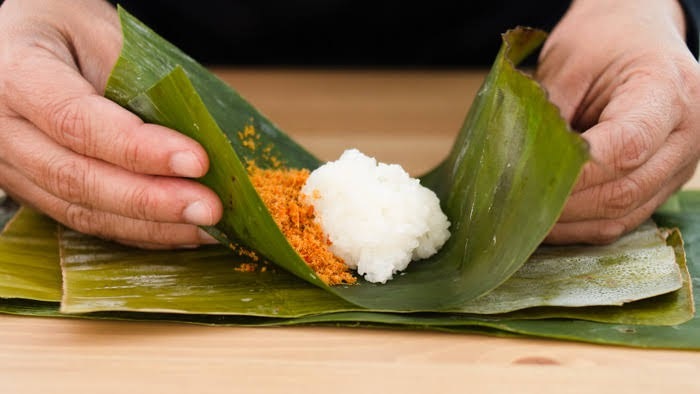 Its Sticky Rice with Fish Floss | Pulut Sambal. 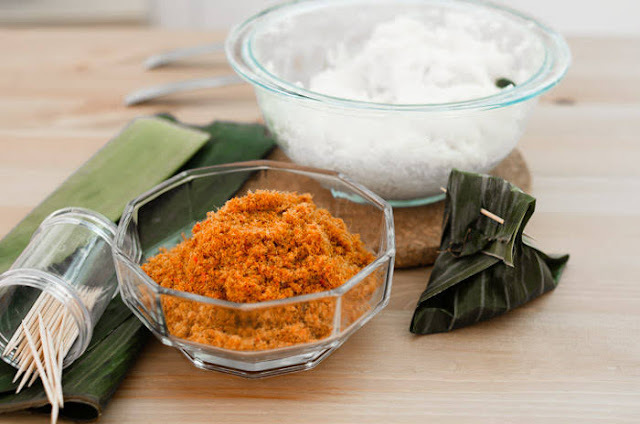 When I blogged about Fish Floss |Serunding ikan, in my previous post, I promised to introduce you to this wonderful delicious Sticky Rice with Fish Floss | Pulut Sambal. It has been years since I ate Sticky Rice with Fish Floss | Pulut Sambal. 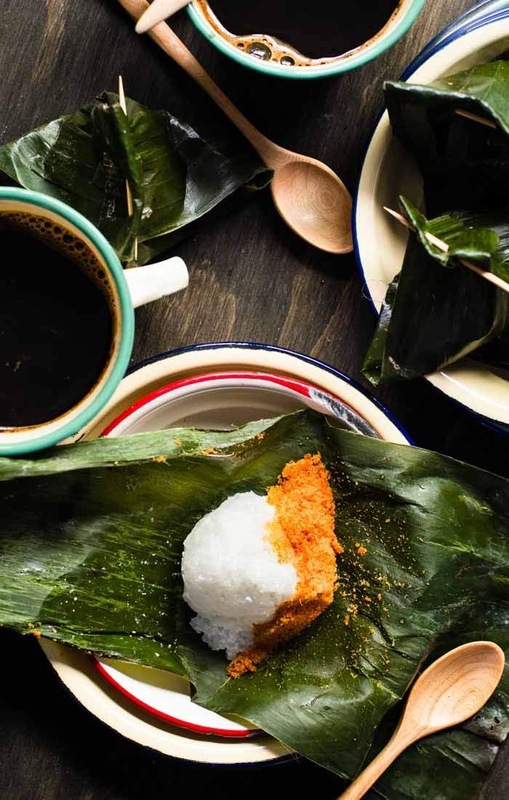 When I had my first bite (after years of longing..) of Sticky Rice with Fish Floss | Pulut Sambal recently, I could see my younger self waiting eagerly for my parents to come home with my favourite breakfast. Spotting them from far, carrying a carrier bag filled with little parcels wrapped in banana leaves, gave me plenty of joy. There are many variants and I have tasted quite a few myself but nothing taste like Sticky Rice with Fish Floss | Pulut Sambal from home! Call me fussy, its OK.
How to cook sticky rice or glutinous rice? 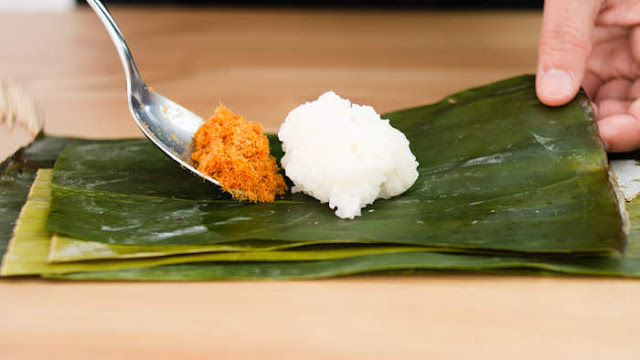 Glutinous rice plays the supporting role in this delicious combo. The main star is still the fish floss. 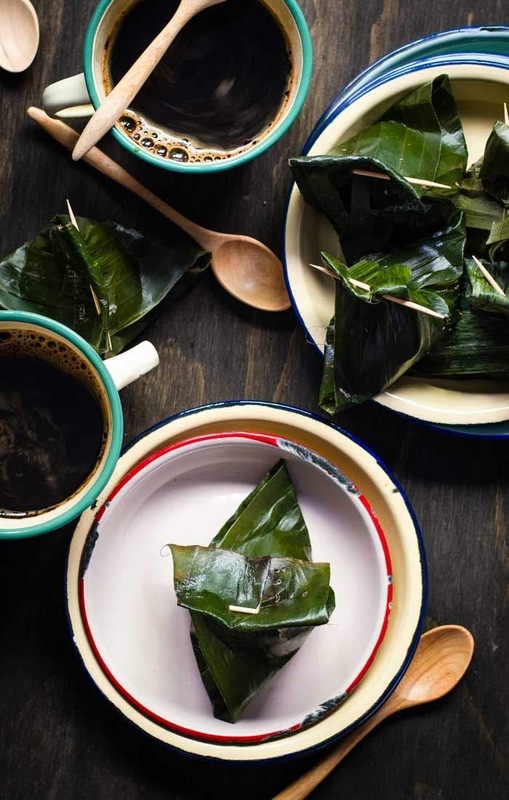 However, there are few ways to cook the glutinous rice. Steaming as per my method in the recipe section below. Cook sticky rice in rice cooker. This is the easiest method. If you notice, I measured glutinous rice in milli litres instead of grams. 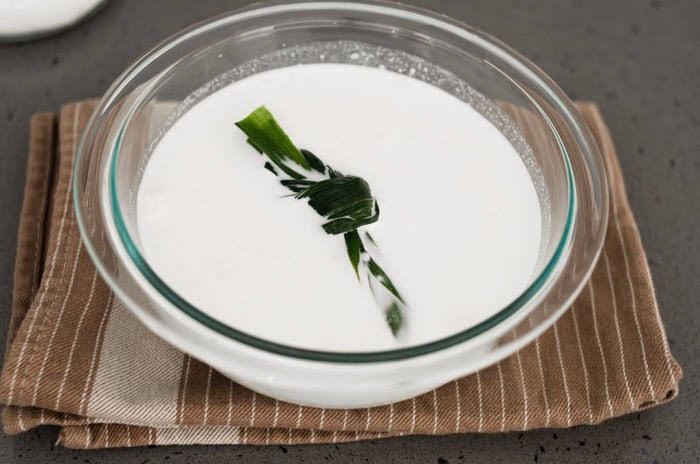 The ratio of liquid to glutinous rice is always 1:1, then both combo will yield a nice creamy not gluggy rice. 1. Toothpicks, banana leaves and cooked sticky rice and a bowl of fish floss. 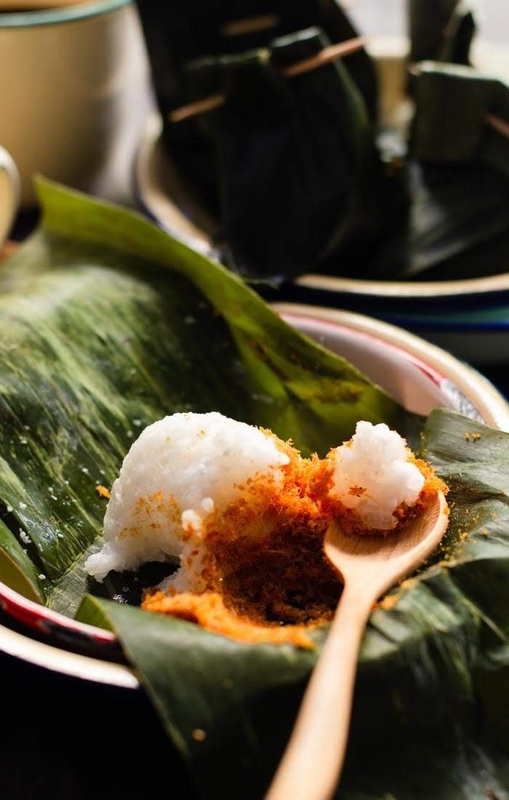 How long can we keep Sticky Rice with Fish Floss | Pulut Sambal? 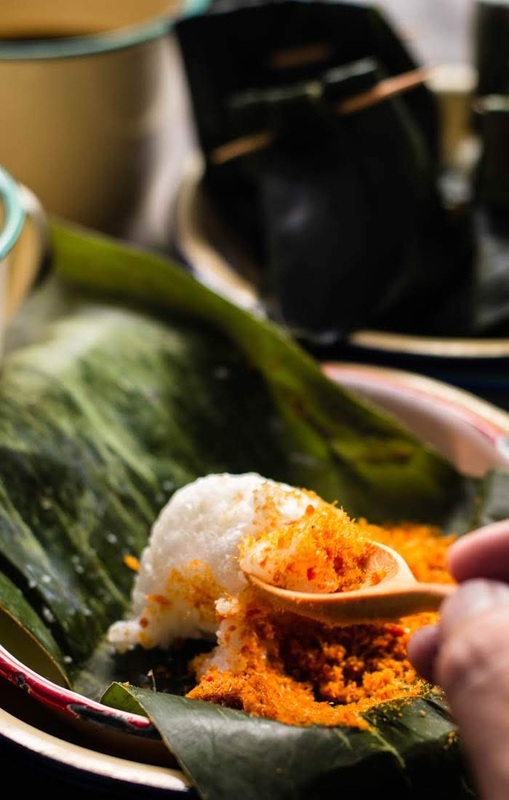 Sticky Rice with Fish Floss | Pulut Sambal are best eaten on the day. I would not recommend keeping the leftover Sticky Rice with Fish Floss | Pulut Sambal in the refrigerator. 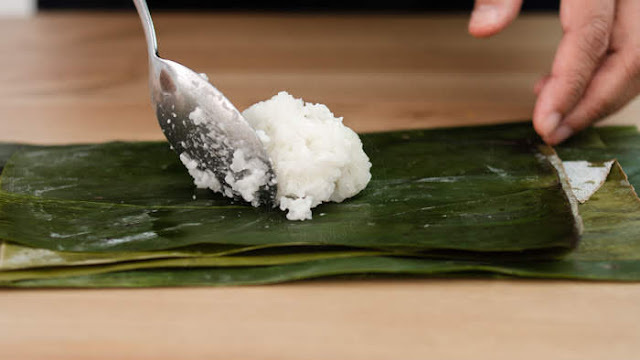 And not to leave Sticky Rice with Fish Floss | Pulut Sambal out on the kitchen bench top for more than 12 hours. 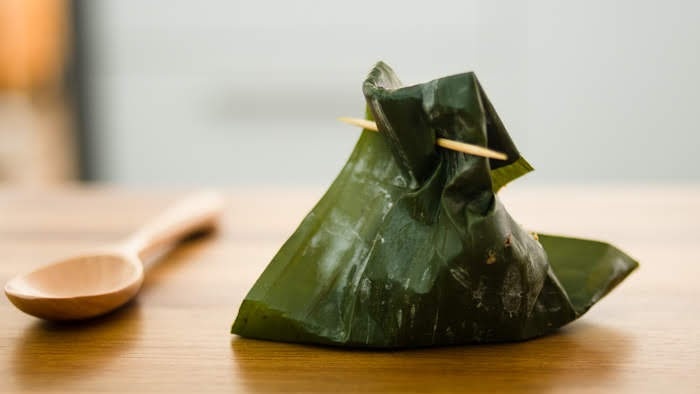 These little parcels will have a funky, funny taste, especially sticky rice. Drain off water and leave sticky rice in strainer for few minutes. Steam on high heat for 20 minutes or until sticky is cooked through. Stir and check for doneness. Sticky rice should not be grainy. 1. I used a pyrex pie dish that fits in my steamer. 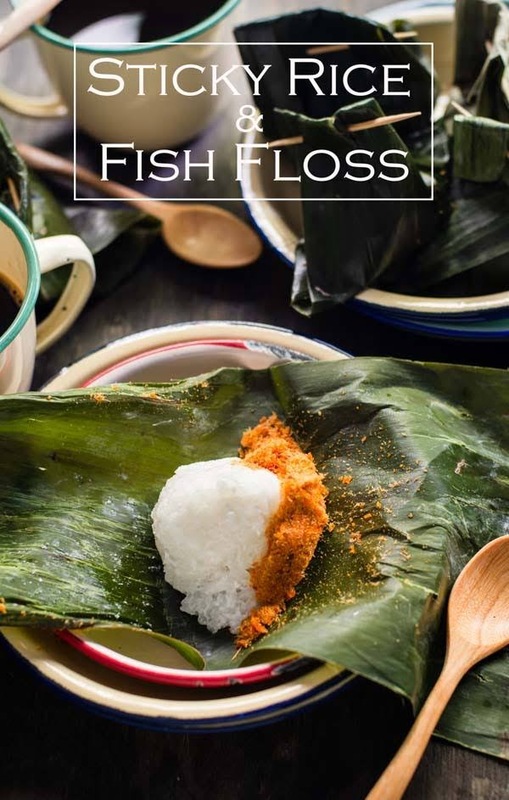 Where can we find the fish floss recipe ? Thanks !